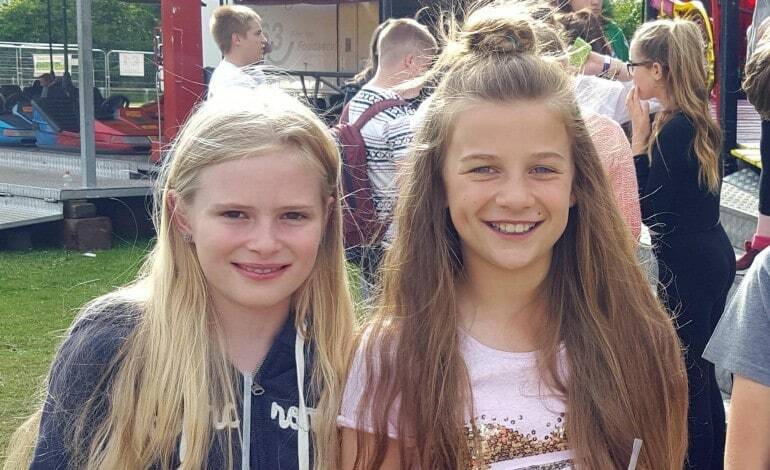 Best friends Lucie Lambert and Leah Banks are raising hundreds of pounds for a charity which creates wigs for young cancer sufferers. And the Aycliffe girls are doing it by lopping off most of their own hair! Leah saw a leaflet in a local hairdresser’s advertising the Little Princess Trust, a national charity which provides real hair wigs to boys and girls across the UK and Ireland that have lost their own hair through cancer treatment. After talking to her friend Lucie, the long-haired daredevils decided to get their barnets cut short in order to raise cash for the charity after being inspired by their story. The pair set up a Just Giving fundraising page with a target of raising £350 – but that has already been beaten, with the current total standing at £416. “We’re all very proud of both of them,” said Lucie’s mum Liz. Leah will have 35cm of hair cut off, while Lucie will have 25cm of hair removed, during a special event at Stephen Russell salon in Newton Aycliffe town centre on Saturday 19th September, at 10am. Collection buckets are in the salon, while online donations can still be made on their Just Giving page by clicking here.